Broaden Your Horizons is back this summer! Back by popular demand the Mavs4Fun Christmas event is open for registration. Maverick team chosen by Myers as "Team of the Week"
We encourage you all to watch next week's Myers Team of the Week on CTV as one of our Maverick teams be featured on November 21st. Can you guess which one? Mavs are hiring assistants clinicians for our 2018-19 Fall-Winter-Spring Programs, An excellent opportunity for competitive athletes and University, and High School Students. Maverick Youth Programs is Hiring! We are looking for a Technical Director to work with our Youth Development Programs. Please see the job description within. Click here to know what to do and bring. / À lire pour savoir quoi faire et apporter. FINAL OFFERS WILL BE VIA EMAIL AFTER 22:00 on the 30th of September. Age groups by year of birth for those who are new to the OVA. Also a reminder that the try-out schedule is posted both in it's entirety and by gender on an earlier article. 2018/19 Try-out registration now online. Mark your calendar for Sept 21st when the first session begins. In this episode, Frank & Thierry welcome newly appointed York University men's volleyball Head Coach Nathan Groenveld to discuss the importance of the middle blocker position and how to train it more efficiently. As an organization we strive to be an inclusive and open-minded club. As such, we're creating an LGTBQ+ steering committee to guide the club in fostering a safe and inclusive environment. Half Day camps for competitive players to get you ready for September Tryouts! Camps are filling up. New camps just announced. Check out the options and Register Today! The club is looking for volunteers to test a few HR Management System testing. 14u-16u BOYS Registration for additional training with SportsCan is still open, sign up now. 17u-18u and Alumni there is also a program for you! While the BBQ and Banquet are still fresh in our minds, I want to take this time to summarize an amazing year for the Club. This program is tailored for boys 14-16 years of age. Closing out the season we want to bring not only the final tournament results in to focus but some individual accolades as well. The second half of the back to back weekend was a crazy time warp of sorts where Tuesday was Sunday and Monday the outer limits. This year the Ontario Championships featured a 6 consecutive day tournament much like Nationals will be. The first half had some great results and a lot of smiling faces. Learn & play on the OVA beach tour. Find your partner and register today! ** Apprendre et jouer sur le circuit de volley-ball sur plage OVA. Trouve ton partenaire et inscrivez-vous maintenant! 17u Girls and 12u Girls travel to Waterloo to see where we shine. A weekend filled with upsets and progress is balanced by disappointment and lessons learned. A full slate of Young Mav developmental and House League programs for all ages are set to go this April. Please note that some programs have sold out. Want to play volleyball but don't know your options or what you want to do this summer? This open house might answer all your questions. So many teams in action it is hard to keep track. See if you tell the players and teams from each other. No fewer than 14 teams suited up across the province. Now that there is time to Breathe here is the summary from coaches and more on the weekend. Great news all round as power pools played out today for the Maverick HP boys teams in Harrisburg at the BANE tournament. With the 17u GoldRush off in Chicago for Presidents Day a slew of 16u,14u and 12u Results poured in from across Ontario. Another lite weekend with only two boys age divisions in the OVA that produced a Gold Medal sandwiched between two Silvers. On the ladies side the Eldorado participated in the 2 day Ontario/Quebec Challenge held in Gatineau were spared the ride. Highs and lows dot the landscape this weekend as the long haul to Provincial is officially underway on a mostly male competition weekend. Well it seems that the only teams competing this weekend were at the 15u girls division, which for us is now 6 teams; > 20% of our club, no small contingent. Lite weekend yields great results for Mavs, first OVA for Aces at 16u girls. The 2018 OVA season restarted this weekend with tournaments on both Saturday and Sunday across both genders and 7 different age groups. no fewer than 5 tournaments were hosted here at home. We have a few positions to fill. A great opportunity for competitive athletes, high school and University students to make money while giving back to the community. The Maverick Volleyball Club is pleased to announce it's new "Above & Beyond" individual and small group training program for girls. Well all of this snow on my return is a little rude I must say... here we go back for a couple already and lot's to talk about. The Annual Mavs for Fun Christmas 4v4 tournament registration is now online with Amilia. This year we will host at St Patrick and Ridgemont with 6 courts for three divisions of 4v4 Co-Ed play. Check out the story to see how to register. Well they say that everything around here happens on Island time, so I guess I am right on time and will keep it short. The Maverick Volleyball Club want to invite you to our annual Alumni event! Let's take a quick peek at how December kicked off for many Maverick teams. New online Respect in Sport initiative for all athlete's families. Course completion must be done by March 15th 2018 in order for athletes to participate in Ontario Championships!! The 2017 Mavs Wear Line is available for purchase until Dec 3. Buy yours today! 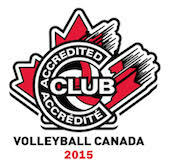 Busy weekend in Ottawa for everyone, plus many on the road for first OVA in their age group. Great results for Maverick teams with many on the move. The second full OVA weekend was centered around the 14u and 18u girls and 17u boys. Hosting two of the 4 events we played in allowed me some time to check in on no less than 4 teams. Our first full weekend of OVA events yielded some great results and a whole lot of optimism for the future. Many of our teams on the courts this weekend were experiencing their first OVA competitions. 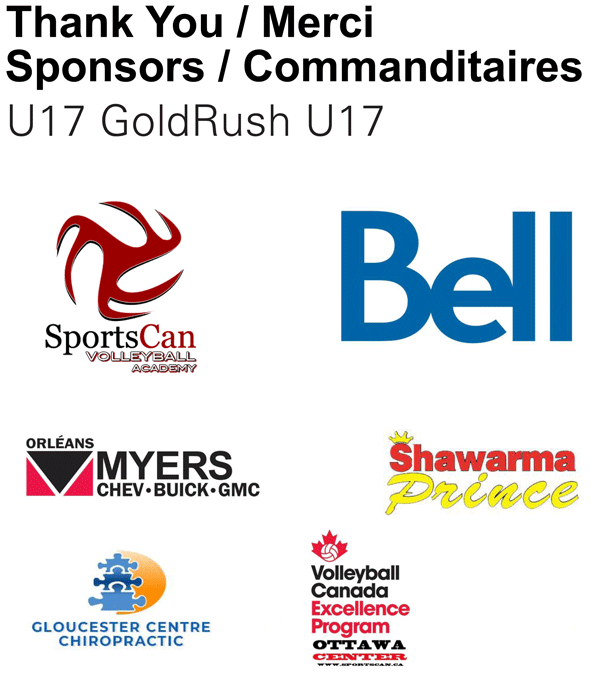 Your first Monday report of the season finds 9 teams in Sherbrooke the 17u girls beginning their OVA campaign and the 16u Gamblers with one in the books last weekend. Mavs Night is less than a few hours away. Uniform distribution, individual and team pictures, Team Nike's Mavs Wear reveal and our charity presentation!! Our fall house league for grades 8-12 at St Joseph CHS is sold out. We are pleased to announce the opening of registration for our 2017-18 Youth Development Volleyball Programs for all skill levels from 6-18 yrs of age. The Maverick Volleyball Club playing guidelines has been formulated in an effort to mirror Volleyball Canada's Long Term Athlete Development Plan. Please read carefully if you wish to be considered for an alternate age category. Please check the most up to date version of the try-out schedule as there are a few changes due to facility availability. Interesting Art Of Coaching Tips for Athletes for Tryouts! With only a little more than a week to go the excitement is building for tryouts. Today the 2017 full coaching roster is available. This season the Maverick Volleyball Club has chosen to honour one of their own and his efforts to support the Children's Hospital of Eastern Ontario. The new 2017 girls Select league will require up to 32 coaches from Oct 1to Dec 3. We are looking for Parents, Alumni and former coaches to fill these positions. Registration for both the Competitive and High Performance team programs is now open. Online sign-up closes on Sept 7th. Today we conclude with the 14u Pre-HP girls coaches. Competitive level coaches will be announced shortly. Familiar faces abound for the 15u teams this season with a two coaches advancing with the group and two returning to the 15u age for a second consecutive season. The 16u head coaching positions** will be filled by yet another pair of veterans to the OVA and along with our two headliners we welcome another newcomer to the Maverick family. **Naming coaches for both the 16u HP 2 teams is a work in progress. Maverick Volleyball will be rolling out our coaching line-up this week with a new announcement each day. Today we begin with the graduating class of 2018 and our 18U coaches; where we see a familiar face and a newcomer to the family. The Club will be introducing the Maverick Select League for the 2017/2018 season at these girls age groups. The goal of the program is to keep as many girls as possible playing after try-outs. The Maverick Volleyball Club is happy to announce our three-year agreement with T. Litzen Sports Ltd the exclusive Nike Team Distributor for Canada. The Club will now be a part of the Nike Team family. The Maverick organization is looking for someone to build a new web site using modern coding standards. Here is a great chance to add life back to your garden or lawn and help an "athlete in-need" play with the Maverick Club. Manderly Turf Products and the Maverick Volleyball club are teaming up once more through their Blue Cube™ product sales. Sunday Summer Beach Programs - Registration OPEN! With three locations this summer, Maverick Beach programs has programs for youth between ages 9 and up. Only a month until the biggest party to hit the east end and your invited. This session was designed to talk about the HP indoor program the Mavs offers as well as the summer programs available this year. Looking for a summer job... We are looking for assistant coaches. We are looking for assistant coaches for the 2017 summer program. Three Maverick teams we all playing for T1D1 Gold yesterday with the 18u Mustangs bringing home the Gold for a first ever 18u Boys Provincial Title. 2017 has been an amazing year with record numbers at try outs, coaches in record numbers, new teams and age groups. But the real blossoms have come up this spring at Championship season. This is the last year to benefit from the Children's fitness tax credit, which allowed parents to claim up to $500 for programs that keep their children physically active. OC weekend 1 in the books and memories in hand. Online Registrations are open! / L'inscription en ligne est ouverte! This was a busy final OVA weekend another first was achieved at the 18u age division where both the Mustangs and Broncos struck for Gold, not to be outdone our 15u Stampede and 14u Renegades also hit the jackpot. Spring Young Mavs Programs Open for Registration! Maverick Sunday developmental programs and weekday house leagues are now open for registration. Blackjacks go state side and finish third! Congratulations to the Maverick Mustangs 18U boys and their coaching staff on a gritty team performance throughout the weekend that led to a GOLD medal. Registration is open for the 2017 March Break Camp. After a lite schedule last weekend the OVA machine was back to full throttle this weekend and our Mustangs headed south of the border for more heat and some US gold at the BANE event in Harrisburg. It was the worse of times and the best of times for the Blackjacks. Oh the weather outside is frightful, but our Mavs are so delightful, as long as they send me good news, let it snow let it snow...ok enough already... Wiarton Willy saw his shadow bring on spring!! Here's the scoop from on the courts this weekend. It was a double competition day again in the OVA and the Maverick Club was busy hauling in medals all around the province.9 teams in total struck pay dirt and came home with some hardware. The 18u Broncos will be bagging groceries at the Independent Grocers on Alta Vista Dr the coming Saturday Feb 4th. Everyone come out and let them, lend you a hand. Proceeds to Edmonton Nationals. Here we go as the season heats up so do many Maverick teams dominating their events and bringing home the hardware. Are you looking for something more than a gym class volleyball class and want to challenge yourself against other boys in a league type format?? The Canada Games is a National sporting event second to none and the City of Ottawa is placing a bid for 2021. Volleyball both indoor and beach is always a hit at the games and many Maverick alumni have represented ON, QC and NS at these games. The Bronze age is renowned for the forging of metal into tools, over the weekend a pair of Maverick teams proved that their metal is solid enough to perform at the highest level. Register Today for a location near you. This past weekend was one that would put most people up against a cozy fire with a warm Cocoa and ride out the weather. Not our Maverick parents Burlington, Oshawa, Kingston and Cornwall destinations with a desire. The 18u Mustangs and 18u Broncos will host the Alumni Dec 22nd At Colonel By S.S.
Everyone is welcome, coaches, players, family and friends. Come and have some fun!! Registration deadline is Friday December 16th, 2016. Register early – there is limited space! Things are really off and running right now. This past weekend it was time for the boys to steal some limelight with 3 medal performances from 5 teams. This past weekend was filled with excitement and results to please any Maverick fan and to top it off it was over two days of play. This was the first for OVA regular season tournaments to be played on Sunday. The class of 2016 is all settled in at their respective schools and making there marks. Check out who is where. The Maverick Volleyball Club began running mid-season try-outs for 14u girls in 2014, the response has been fantastic. This season our hope is to add both a 14u girls team and a 14u boys team to our line-up. The Maverick Volleyball Club has a few possible project ideas and is looking for someone with expertise in applying for grants. Do you know someone who may be able to help? It time to size our athletes for their uniforms!! We added new dates for the comp teams. Open for details. The presentation that was made for the Orientation session of September 10, 2016. Online Team Tryout Registrations are now closed! To register, open for instructions. Our competitive program coaches for the upcoming season. The OVA has made some modifications to certain age groups and competitions. This is the second of four announcements of coaches for the 2016/2017. The Club's coaching lineup for the HP Girls Program for the 2016/2017 season. Lionheart is a passion project dedicated to growing the sport of volleyball by showcasing the people who make it great. This week the highlighted athlete is our own Charlotte Sider. Registration is open our Summer Camps at a variety of locations across the city. We, again, will be offering a number of options for all skill levels whether novice, intermediate, advanced and elite. The 17u Rangers were able to bounce back from a semi-final loss to claim Bronze in Saskatoon. Other great finishes as well. Lester B Pearson is hosting a high school beach tournament for the first time ever at Max Volley Check out the details. Great chance to get a head start on some sand court play. It was deja vu all over again for some of us as a Maverick boys team claimed National Gold in a very convincing manner centre court at Carleton University once more. The win topped off a great weekend of play for these young boys and their coaches. Original Mavericks become first male volleyball members of Dalhousie Hall of Fame. Weekend number three was the weekend of what could have been. So close to a second great showing and yet still so much pride in the way our athletes handled difficulty and set-backs. The Evelyn Holick award was presented on the opening day of the 2016 18u championships to our very own Émie Gaboury who becomes the second Mav to be given this honour. This past Sunday the new 14u rustlers team hosted their first inter-club event and got a chance to show us their stuff in competition. Round two of the Championship season in Waterloo took place this past weekend with the 14u and 17u Boys along with a massive 15u Girls draw were up for grabs. Fantastic showings were abundant and our first OC hardware made it’s way back up the 416. The Ontario Championships kicked off this past weekend in Waterloo with the 14u and 17u girls divisions. In total 6 Maverick teams took to the court. The results bear looking at closely. Broncos take their training to the next level...I mean continent. The 18u Broncos completed a week long training venture in France over the March Break in an effort to ready themselves for the Ontario Championship push. Photos to come.. The regular season wrapped up this past Easter Weekend with the 15u boys age group. The March Break has evaporated like the snow on my driveway and with it's conclusion comes more action and activity. Here's what's coming up...and after finishing this article I think I need a break. With the onset of March comes the start of championship season in the CIS. This weekend several of our alumni will take centre stage in their quest of the ultimate team goal. Feb 29th only happens every quadrennial so I feel like this is a special report on the weekend's affairs. But truly they are all special. The Maverick Volleyball club and the Dalhousie Tigers have a long and storied history. Just announced is that Original Mavericks Paul and Eric Villeneuve will be inducted into the Dalhousie Sports Hall of Fame later this spring. With all the hype on the GrandPrix events this weekend we can't overlook the other 12 Maverick teams competing in OVA events and 5 more giving our newest team the Rustlers their first competition. For the second year now the Maverick Volleyball Club has formed a "second half" 14u girls team to give young players a chance to get the "Maverick feel" before next seasons tryouts. GrandPrix weekend is on us and the 17u Gold Rush and Rangers both provide their best performance of the season in a two day - 8 team Premier level event held in Oakville. While all the action was heating up in the Bay area Saturday was busy for a lot of our Junior teams. With the 13u Girls, 14u Boys and 16u boys competitions underway. Coming home brings great excitement and several ex-Maverick girls showed their stuff on their return home this past weekend to compete on the stage that inspired their start. This weekend brings us lots of great showings and even a few trick ponies to round out the entertainment. The weekend with our young developmental teams. This past weekend saw a record 6 Maverick teams competing at the 14u age girls divisions. Every level had at least one Maverick team not only in the draw but making noise as well. Along with this was the 15u and 13u boys mining some precious medals. What a weekend of wild and crazy happenings. Week two of 2016 for the club comes filled with overage achievements, amazing comebacks, all Maverick match-ups and some Southern success. Well for many of us 2016 came in with a bang of activity and preparation for the second half. Let's take a look at the goings on around the OVA and more. Once again the Maverick Volleyball Club is opening the door of opportunity for girls 14u and younger in the second half of the competitive season with try-outs for a new competitive team. Registration deadline is Friday December 18th, 2015 Register early – there is limited space! Final Weekend of 2015 brings with it the good, the bad and the not too pretty. With the President gone on vacation you will have to settle for this less creative wrap up of the weekend. In her final year with the Maverick club, everyone knew this young lady would be at the top of so many coaches A list. It seems she has a soft spot for Papa and his heritage. It was a light schedule this past weekend with only three teams on the court on the boys side. Nonetheless it was fruitful with two medals and a 4th. This weekend was a light one on the trail. Only three teams competed in OVA events this weekend and two got the rare advantage of sleeping in their own beds as well. - Note to self, press save when done!! Sorry for the delay. After a thrilling game at TD place the RedBlack nature of this city is revealed. But there is another group that has been sporting those colours for 31 years now, and they had some thrills of their own this weekend. Interested in learning on how to do the OVA scorekeeping sheet, this is the session for you! Our Girls City League for High School and Middle School players will be held at ES Louis Riel starting October 16th. This is the day were we make it official!! Click here for more details. One of the best articles written about the OVA's tryout window from the Durham Attack Volleyball Club. You can still register at the door, here is what you need to do so. Considering Playing Up or Playing Down for the 2015/2016 season? Athletes and parents should read these Club guidelines. The purpose is to ensure that the athletes are making the right decision and not to limit the players' choices. The presentation that was given at our Open House is attached. Your invited to our Club Open House! On September 9th 2015 from 6:30pm to 9:30pm at Franco-Cité HS on Smyth Rd. See details for more info. As promised the Club will be announcing the Head Coaches for the HP and Competitive teams for next season throughout the next seven weeks. The Club is proud to announce our Competitive coaches for the 2015/2016 season. All dates, times & locations that you need to know for this years tryouts. Check it out! The 2015 season is right around the corner and we are excited about the program design leading in to this season. 5 Levels for players 8-18. Registration to open soon. The Maverick Volleyball Club would like you to know why the try-schedule originally posted has been changed. Need a few reps before tryouts? This might be just what you are looking for. The Club is proud to announce that we redesigned our strengh and conditioning program starting with a two year partnership agreement with Capital Strength Training Systems and the signing of the Club’s new Head Strength and Conditioning Coach. The Maverick registration page for tryouts is now operational. Click on the REGISTER NOW menu on the left of our web site to sign-up for September tryouts. Five additional Maverick athletes named to National Teams. The summer of our 30th season has easily been the most successful for our current and former athletes who were named to National Teams. As of June 1, 2015 all OVA registered athletes are free to explore their playing options. This article will provide information on what the Maverick Volleyball Club will be planning for the tryout season. URGENT RESPONSE REQUIRED All HP athletes are requested to contact Kerry and register for their final FMS screen for the season. Read on to find date and times. Visit the our website, follow us on Twitter and Instagram for some announcements in the coming weeks leading to tryouts. The Maverick Volleyball Club has developed a new set of guidelines in regards to team names going forward. Some names have been moved, some have been added and others removed. This summer is both exciting and busy for many of our players. On top of beach volleyball and the new summer S&C programs. We have many players selected to Provincial Teams at both the 16u and 18u age groups. Volleyball Canada has released the locations for next seasons Nationals. Some exciting news in that the 14u teams will represent right here in Ottawa. Young Mav and Beach League for Sunday June 28th - Cancelled due to weather. The Maverick Volleyball Club (MVC) is thrilled to announce a new partnership with Capital Strength Training Systems (CSTS). Maverick Volleyball is hiring Head Clinicians and Senior Assistnats for week-long summer camps and Sunday beach programs. We are accepting resumes for Junior and Senior Assistant Coaches for both Summer Camps and the Sunday Beach Program. The year end celebration, our 30th season will be June 5, 2015. Of the 32 athletes that were invited by the CIS and Volleyball Canada, 4 of them are Maverick Volleyball Club alumni. The 2nd weekend of the 2015 Ontario Championships held so much promise going in however it was the upstart Stallions who stole the show with a perfect weekend. Add to that a Div2 -1 Gold by the 13u Rattlers. The 15UG Colts had the best finish any team can ask for on a Sunday in Waterloo. 3 wins and a Gold medal in Div 2 Tier 2. There is nothing like making the best of your Sunday to make the ride home just a little more fun. The 17u boys and 15/16u girls began this year's OC season in Waterloo. There were plenty of highs and low's and even some hardware collected. With the last of daylight savings time behind up we find our crew taking advantage of the opportunity to keep on the right track heading into Ontario Championships next month. Sophie Carpentier sent a heart warming thank you to her coach after winning the 2015 CIS Women's Championships. Once again I find my self looking north to find muchos buenos is happening on the court in my absence. March is upon us...don't miss out, Register for your spot at Maverick Volleyball March Break Camp today! From a land just a little warmer than you are experiencing right now. But from here I cannot help be drawn back home by so much good news. This past weekend was set aside for the 18u age group and as such we had 4 teams competing around the Province. On the line was a placement in the final event's new Grand Prix format. Mayor Jim Watson along with Councillor Tim Tierney, today presented the Mayor’s City Builder Award to Kerry MacLean for his outstanding community service as high school coach, founder and President of the Maverick Volleyball Club. As the first month of the new year came to a frigid close things were heating up on the court for 2 age divisions. 17u Boys and 15u Girls. ___ As is now common many of our younger teams are "competing up" an age group and finding it worth it. Earlier this month the Ontario Volleyball Association announced their initial list of Quest for Gold Ontario Athlete Assistance Program candidates for this season and of note were several young and rising stars in the Maverick family. This weekend brought about a lot of great news and successes from the courts. The club was also fortunate to be able to host an almost all Ottawa 16u tournament here, while others had short trips to Kingston to play yet again. This past weekend had Maverick teams competing here in Ontario and south of the border in several US cities. Again the news was positive on all fronts with highlights from the BlackJacks, Outlaws and Goldiggers all winning medals. The 2014 program tax receipts are ready. Les reçus d'impôt des programmes 2014 sont disponible. The inaugural season of the City League for High School Boys begins Friday December 16th at the new court facility at Franco Cite High School. Come out and watch our alumni in a battle of two top 10 teams in Canada. The 2015-16 season is fast approaching and our club is looking for head coaches and assistant coaches at various levels. Wishing everyone all the best for the Holidays! Mavs 4Fun Christmas Tournament this Weekend!! Registrations to this years tournament are still open. New tier format too! Check it out. Saturday was another bountiful day with teams competing in the 17u Boys, 15u Boys, 16u & 13u girls divisions. More landmark moments, big plays and important wins for our charges. Maverick Club participates in U of O study. The red, white and black was all over the podium yesterday around the province but the most popular accent was Gold. Mustangs, BlackJacks and GoldDiggers all win the prize. The Franco Cité Fauçons travelled to Dryden this past weekend looking to make history and did they ever. Along with Franco's historic win others were representing their schools around the pro vince. (See story on Desperados home page for more). The 16U boys did not disappoint and came home from Kingston with gold. Our Six Shooters are raising funds for their volleyball season. The second weekend of the OVA schedule called for 16u and 13u girls to take to the court along with the 15u and 17u Boys divisions. Holiday Craft and Bake Sale. The Outlaws travelled to Kingston to play in the 17U Trillium tournament. Registration for half season 13U and 14U boys and girls competitive teams is now open. Since the very beginning of try-outs and the selection of teams coaches, players and parents have been eager to get the season started. Well this past weekend didn't disappoint. The medal count began in earnest this weekend with the playing of the Omnium du Quebec witnessing what promises to be a great season for Maverick teams. Plenty of Volleyball in Sherbrooke with 27 sets over two days. Now that the CIS and CCAA seasons have begun it's time to look in on our latest class of graduates where they are and what they are studying. Get your uniforms, your picture taken & web profile up to date!! 30th anniversary apparel will be available for purchase/order. Recap of Coach Arnd Ludwig's visit with the Maverick Volleyball Club. We hope you can join us for this special event next weekend when Coach Arnd Ludwig shares his tips on how to be the best! This past weekend the Outlaws combined laughing, training, working and watching into a fun filled team building weekend. Get our 30th anniversary swag and be a proud Maverick. On September 27, 2014 the Club hosted our first ever Signing Day. It was chaotic but we could all feel the energy in the air. Various age levels need more coaches. Do you or do you know someone interested? We are looking for individuals with certifications in personal training or strength and conditioning. Open for more details. Introducing our head coaches & our master coaches for our upcoming season. As explanation of the guidelines that the Maverick Volleyball Club will use to classify teams at all age groups. Stay tuned for some very important information on the upcoming 2014/2015 season. Congrats to the medalists from Ontario and the Maverick Volleyball Club. Week one is completed and we are almost half way through week two. With two more weeks remaining of Maverick Summer Camps, register now and take part in the fun! Congratulations to Alina Dormann and Jade Ziebarth for being select to Team Ontario. Program is offered in the Louis-Riel Dôme! Summer fun on the Beach! Mavericks brings its popular Sunday indoor skills and development program to east and west end Beach locations. Find out why Beach Volleyball is one of the fastest growing and exciting sports going. Want to get involved to help us improve the Maverick way? Open for more details and how to get involved. Sessions started on Wednesday, May 21. But not to late to join! / Les séances d'entraînement ont débuté le mercredi 21 mai. Il n'est pas trop tard pour participer! Do you need premium lawn and garden soil? Buy a Blue Cube from Manderley and a portion will be donated back to the Club to support operations and program development. Click the title above or the logo at right. Use Promo Code: MAV14. Maverick Youth Programs are hiring Head Clinicians as well as Senior and Junior Assistants for Summer Indoor and Beach Programs. Please find Job Descriptions for all positions enclosed. A Level 1 Coaching Certification is being held Saturday June 7th and Sunday June 8th at St. Paul HS in Ottawa. 2013-14 Year End Banquet is around the corner!! ** Le banquet de fin de saison approche!! New House League starts at Glebe Sunday January 19th. 17U HP TEAMS HOSTS TOURNAMENT WITH GREAT SUCCESS! At the halfway point of the CIS regular season we find that many Alumni are representing the club on a national stage. Top 10 teams are filled with Alum and we find many in the top 20 of statistical categories. A Head Clinician is needed to run our Young Mavs 2 and House League Program this Winter. The Program runs at Glebe Collegiate on Sundays from 10:00am - 2:00pm beginning January 19th for 8 weeks. Blackjacks 17U girls win GOLD!! Maverick coaches learn how to tape like the “pros”! In preparation for the upcoming season Maverick coaches attended a taping clinic at St. Mary Physiotherapy Centre. Will Bulmer is slowly becoming the face of Movember for Ottawa by organizing events to help promote men's health. The two Maverick House League locations are both full and we are looking forward to a fun-filled season. Some of the Young Mavs programs are filling up... Don't be disappointed, sign up for your program before it's too late! Come out an support your alumnus! The University of Ottawa Gee Gees and the University of Laval Rouge et Or are scheduled to scrimmage at ESP Louis Riel on Friday October 11, 2013. Next tryout for 13U girls is on Thursday Oct. 3rd, 6-8pm at Louis Riel. The Club was able to secure a third coach and will be introducing a new program for 2013/2014. Read more. We’re pleased to welcome Ian Whamond to the Mavs family as the new Community Program Coordinator. This is perhaps the one question that we answer from parents on a daily basis at this time of the year. Hopefully this article will help parents and athletes in making the right decision for THEM. The Club would like to announce the head coaches for the 2013/2014 season. The OVA introduced the 13U Boys category for this upcoming season and the Club is happy to announce that Paul Gratton will be leading the program. Volunteer position available. The Maverick Club is looking for assistance in web development. This position is perfect for either a parent or player with web developer skills. May even result in reduced fees. The Mavericks are looking for a Community Program Coordinator for the 2013/14 season. Application closing date is 2 pm on September 6th. Information on mental skills training and tryouts will be shared. Although dates and times have yet to be finalized, you can register now to assure your spot. Volleyball comes to your place this summer. Not only was the World League action aired on SportsNet this summer, and in a month the NORCECA Championships. But some of our own players and coaches will be coming to you via the Web and broadcast TV. Mavericks Power Ontario to 1st. The NTCC tournament is on in Gatineau and our boys are powering Ontario towards a repeat of last year's championship. The 2012-13 season represents a Milestone for the club as we break through the 1000 participant barrier. The St. Denis brothers won Tier 1 14U Gold at the last OVA tournament. The Club will be hosting an information session for parents and athletes interested in the 15U Girls High Performance Program for 2013/2014. Mavericks has opened another summer volleyball camp at Woodroffe High School. Registration now open. Listing of where our graduates of 2013 will be attending next year. Due to popular demand, we will be offering an advanced skills camp for Boys in the Colonel By Gyms in Beacon Hill North. Headliners include Chris Lawson (University of Waterloo) and Mike Chumbly (York University). Of the twelve roster spots for Team Ontario - Canada Games, (athletes born in 1993 or later) four are current and former Maverick athletes. Congratulations to Jori on his selection to Team Ontario for the Canada Games. Jeremie has been selected to represent Canada at the World University Games in Kazan, Russia. Congrats to Bruno Lortie on his selection to the Junior National Team. He becomes the first male Maverick selected to a National indoor team. Best of luck this summer and at the World Championships in August. Congratulations goes to Myriam English who was selected to stay in Winnipeg with the Sr Women's National Team for an extended training period this summer. Let's give a huge shout out to the 14U Bandits who recently collected a Tier 1 Bronze Medal at the Canadian East Nationals in Sherbrooke. This makes the Bandits our youngest boys team to ever win a National Tier 1 Medal. Go Maverick! If you are interested in camps running in Ottawa's west end, please let us know by completing this very short survey that is aimed at determining if enough interest exists to run multiple weekly camps and which weeks would be preferred. Important information about what posting photos on your cell phones can do to YOU!!! Please take the time to watch, at the end you will see how to set your phone so as not to run this risk. Five Maverick alumni will be attending Team Canada camps in hopes of representing our country in various competitions internationally this summer. The Maverick 18U Mustangs return home with Silver Medals (Div 1, Tier 1) at the OVA Championships this weekend, after intense 25-27 and 18-25 sets against London's LVC Fire. Fresh off a CIS title as a first year starting left side for the Laval Rouge et Or, Bruno is one of 40 athletes invited to attend the selection camp. The HP Advanced-level Camp information has been posted to the web site and registrations are being accepted now. Almost every other day, we hear about at least one elite athlete who has suffered a debilitating concussion. Shainah Joseph becomes the first female Maverick Volleyball Club athlete to win the prestigious Evelyn Holick award presented by the Ontario Volleyball Association. The first weekend of the Ontario Championship (OC) are about two weeks away and Maverick teams are well placed heading into the Championships in Waterloo. The CCAA named their All-Canadians this weekend and two former Maverick athletes were honoured as All-Canadians. Once again current and former female athletes made a huge impact for their high school teams at the 2013 OFSAA. Congratulations on the results ladies a job well done! The Lortie brothers posted a Facebook message to their past coaches, former team mates and current Maverick athletes. Renegades serve tough and pull off another silver medal leading up to Provinicals. What a weekend of firsts for former Maverick athletes at the CIS Championships. Maverick Alumni take center stage at CIS Tournaments. February once again brings conference play downs for the CIS Volleyball Championships to be held in March and as in recent years Maverick Alumni have been key in propelling their teams to the championship tournament. See photo. The Maverick web site needs some help translating some of the web pages. Can you help? Laval's head coach, Pascal Clément, acknowledges the Maverick Club for producing high calibre players. Shaïnah Joseph has been chosen as Athlete of the Week by CTV. Watch the CTV sportcast at approximately 6:45 pm on January 15th. Frank St Denis has been selected to be a part of the coaching staff for the U21 team Ontario that will undoubtedly be a favourite to bring home gold. While the OVA season is less than half the way done, we like to take this time and reflect on what has been and what lies ahead for all of us. Great day at the 7th annual Mavs 4-Fun tournament. Congrats to champs "3 Elves and a Gingerbread Cookie" and runners up "Broheimasauras". Also a big thanks to the Blackjacks and their families for hosting. All coaches are asked to check each of their player profiles to make sure they are all active. Contact Chris is you have any problems. The Maverick Volleyball Club is hiring coaches! Do you love working with kids who love volleyball? This could be the perfect part-time job for you. Join us at Franco Cité next week for a new tradition. Alumni vs the 18u teams. Now that our new web site is live, could all coaches check their team photos and player profiles to make sure they are correct? If there are any problems, please call Chris for information on how to fix it. 613-745-5597. December 2012 - former Maverick, Rex Fenton, named to CCAA Men's Volleyball Athletes of the Month for November. Read about the Shaïna Joseph story in the Ottawa Citizen – how she battled back from being cut in grade 6 to being sought out by university coaches across Canada and the United States. Mavs Coaches Day for some..weekend was a HUGE hit. With over 50 like minded volleyball people in the gym at once, how could it be anything but a huge success. OFSAA success abounds for Ottawa schools. In a year where there is so much press about no sports for high school athletes. Maverick players helped 4 of 5 Ottawa teams to great results across Ontario last weekend. A new innovative, non-traditional team building opportunity. Shaïnah Joseph signed the National Letter of Intent to attend the University of Florida as a member of the women?s volleyball team. The Maverick Web site is undergoing a complete overhaul to incorporate new functionality as well as a whole new look. Our apologies for any inconveniences caused by the delay. The latest Men?s and Women?s CIS Volleyball Top 10 rankings have Maverick alumni making significant contributions for their university programs. The 16u Girls comp team will go ahead. A volunteer from within the club has stepped forward to coach the team. Additional tryout Information for Athletes and parents. The Ontario Volleyball Association has produced the following article clarifying the try-out process and rules regarding participation in the OVA. It also has a series of questions that we encourage our parents to consider before the season begins. The Maverick Volleyball Club will be providing two shoes sizing days at practice locations in the next week for all our members. Check back soon for the schedule. Sophie Carpentier (Mavs'12) scored 15 points for Canada in a tight 4 set loss to Peru. Sophie Carpentier and her Trinity Western team mates will be representing Canada at the the inaugural U23 Pan American Women?s Volleyball Cup to be contested in Lima, Peru September 2nd-9th. Charlotte is currently participating at the 2012 Swatch Junior World Championships in Halifax, NS. Bruno Lortie has spent his career with the Mavericks pushing himself to be with the best players so that he can train to his potential. This summer is no different, Bruno has just been added to the Team Canada training roster for 2012. All have been accepted and more information will be emailed to you directly. The Women's National Team will be playing a playoff match versus the USA Youth National Team. Maverick athlete, Shainah Joseph will be representing Canada. Maverick female athletes and their provincial team results. Congratulations to Shainah Joseph who made the 14 woman roster. OFten there is a great deal of confusion regarding the age category that new players to our club. Below is a list of years of birth and the corresponding category for competition. Often we are asked questions about the HP program and how it is structured compared to our regular teams. If you have questions and are considering the program please read on. Mini DV Video Cameras required!! Six Maverick athletes were named to the 2012 Team Ontario roster. The National Team Challenge Cup is the annual competition for Canada's provincial teams. It is being held again in Gatineau and the organizers have requested our help. Here is a chance to help raise hope for young people in Africa while playing beach volleyball. Registration is still open for the Maverick Competitive Beach program. Check it out. Vicky Savard has just been named to the Senior Women's Team. Congrats Vicky!! Without any regrets the Maverick Shotguns 18U Girls team finished 5th at the National Championships this past weekend in Toronto. Colin Walker has been leading a double life this season as a coach, Saturday in Toronto both his wildest dreams and worst nightmares would come true. In an amazing display of team effort and true grit over injury and adversity the 17u Desperados climbed their way to the finals on Tuesday in Toronto at the 2012 Super Nationals. Bruno is the third Maverick athlete to win this prestigous award from the OVA. Presented annually to a male Youth Division athlete who best demonstrates the qualities of determination, leadership, athletic ability, sportsmanship and fair play. The Maverick Volleyball Club is proud to announced that 9 of our current and former athletes have been nominated by the OVA for Quest for Gold Funding. There were 40 athletes nominated in total in Ontario for both indoor and beach volleyball. Find out all the latest news, join the discussion, ask questions... it's a forum for the Maverick community! Acc?dez ? des informations, joingnez des discussions, partager vos nouvelles, c'est pour la communaut? Maverick! Maverick Volleyball, in partnership with Savoirnet is stepping outside of the gym and into the virtual world to share our expertise and to stimulate discussion on volleyball coaching challenges and solutions. Attention all female athletes born in 1997 or earlier and mae athletes born in 1996 or earlier. The 2018/19 competitive season is almost upon us and registration for the try-out process is now online. Try-outs will begin on Sept 20th and offers made on the 30th. See story for more details on where and how to register.